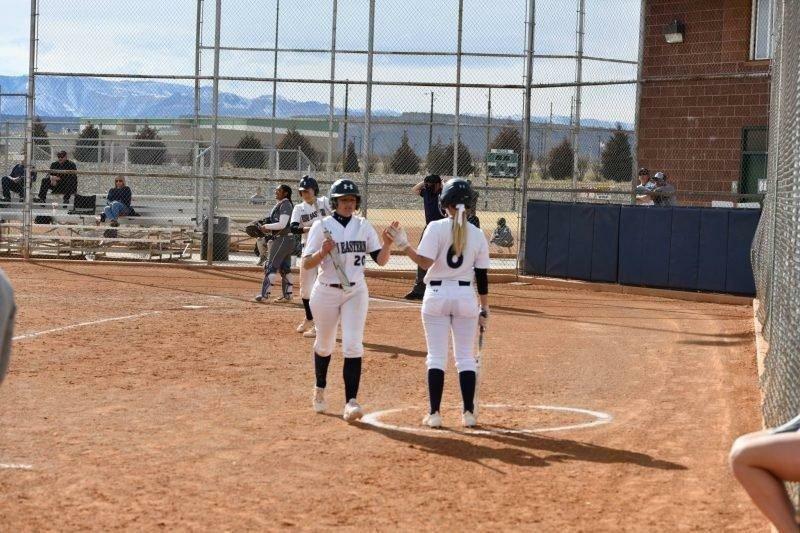 USUE softball lost its four-game series to the Snow College Badgers in Ephraim on Friday and Saturday. The Eagles came up short by one run in both games on Friday. In game one, the Eagles scored eight runs in the top of the fifth to take a 10-5 lead. Snow would come back by adding three runs in each of the fifth and sixth inning. With one out in the bottom of the seventh, Snow College hit a walk-off home run to take the game. During game two, the Eagles lost 5-4 on a walk off triple in the bottom of the seventh. USU Eastern head coach Brittani Richins said that the games were close but ultimately the home team got the advantage and the wins on Friday. “We were one inning away from beating Snow. I believe that if we were home team that the outcome of games one and two would have been different,” said Richins. During Saturday’s double header, the Eagles lost 11-3 and 8-3 to give the Badgers the sweep. Sophomore shortstop Cassidy Howe had another impressive weekend at the plate for USU Eastern. She batted a team-high .667 with eight hits, four runs, two RBIs and a home run. “She has upped her game so much as a player and has gotten even better from last year. She’s making plays she didn’t make before coming to Eastern. I would say she is for sure playing at the level to be a First Team All-Region player,” said Richins. Freshman Ashley Sweat added five hits and two RBIs while Shelby Shurtliff had a team-high four RBIs for the Eagles against Snow. The Eagles will be on the road again this upcoming weekend as they head to Rangely, Colo. to take on Colorado Northwest.mThis will be the second time the Eagles have played CNCC in a four-game series. 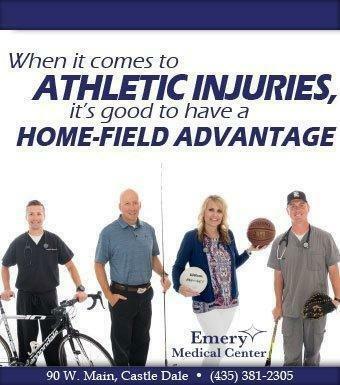 Last month, they swept them at home. It will also be the fourth week in a row that the Eagles will be on the road with another road trip to go next weekend in Salt Lake. Richins said that she can’t wait to have her final few weeks of the season at home instead of being on the road even though road games can help in the development of her team. “It’s going to be so nice to finish our games at home. Playing on the road takes a lot out of you and you feel like it’s harder to recover when they’re all in a row, but that is where being tough mentally will help you grow and develop as a player,” said Richins. On April 20, they will return home for a four-game series against the College of Southern Nevada, a team they split with on the road last month.